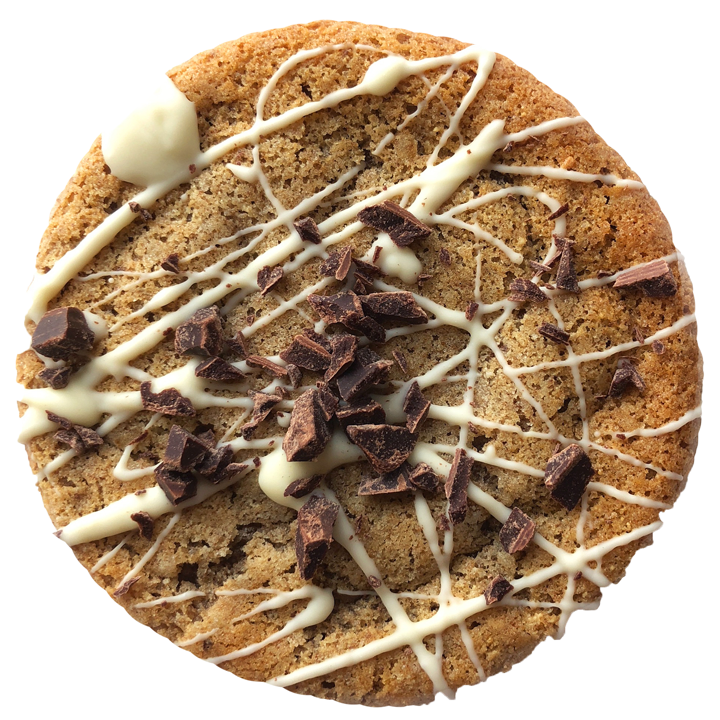 each month we rotate cookie flavors which you can order by the half or full dozen. take a peek at the flavors list below to see some of our upcoming offerings! once your order is processed, we will notify you of the pick up time and location. all orders processed by tuesday at midnight can be picked up that friday. any orders made wednesday will be scheduled for pick up the following week. 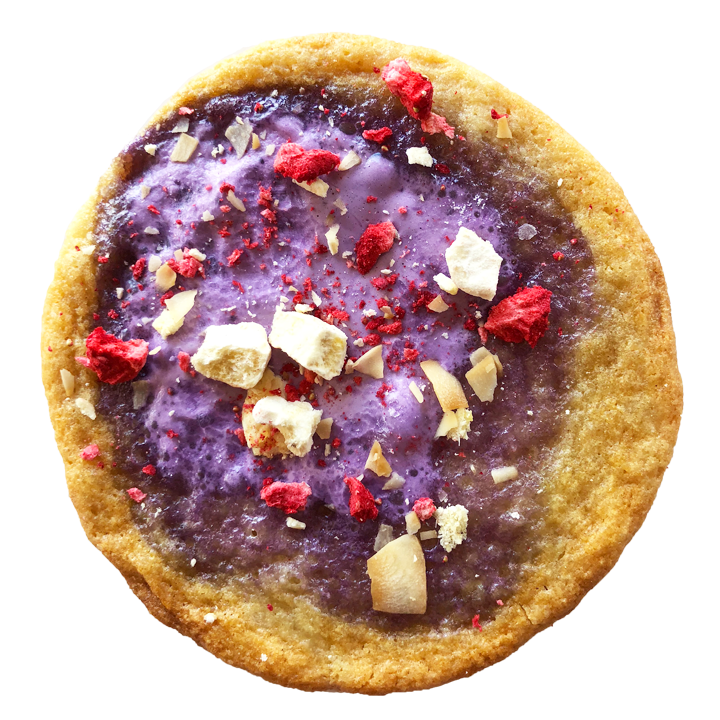 coconut cookie topped with gooey ube marshmallow, crispy rice, freeze dried bananas, strawberry and pineapple?! yes please! 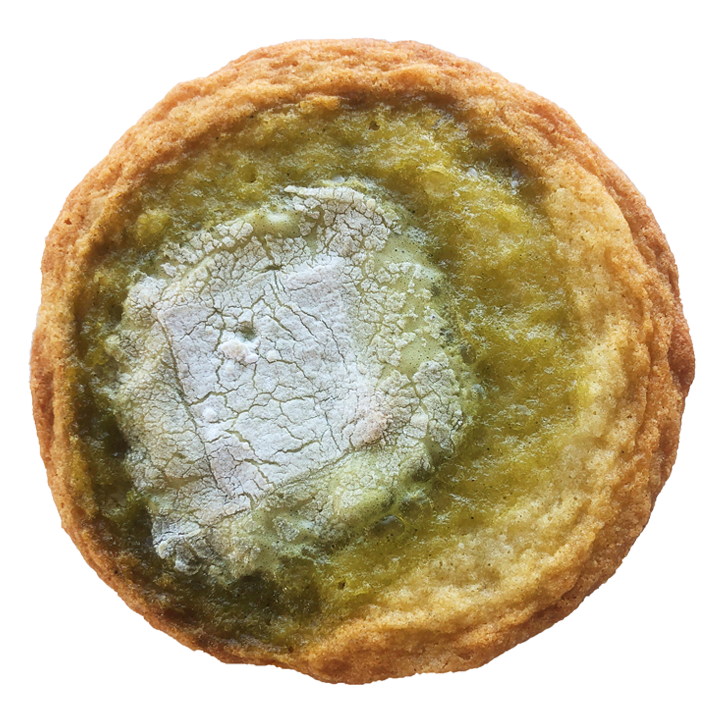 this cookie was inspired by the transition of summer into autumn! the summery peach-like flavor of osmanthus is combined with the spiciness of candied ginger.